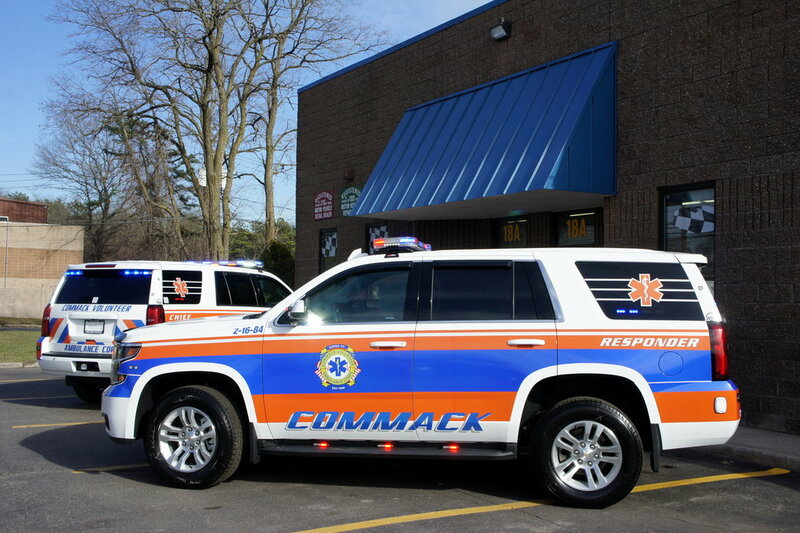 Commack Volunteer Ambulance Corps has recently received their new chief truck! This truck is very much like their newly acquired first responder truck. 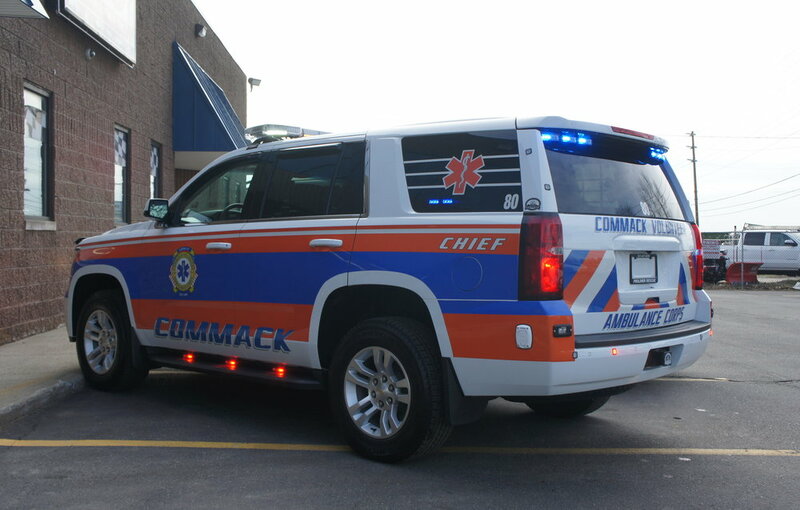 This vehicle stands apart from the first responder with the addition of a custom command box, with a flip up command board, and sliding tray.